On the desolate "Shipwreck Coast" of Lake Superior stands a forgotten station manned by crews from the United States Life Saving Service and the Light House Service. Read the history of Lake Superior Life Saving Station No. 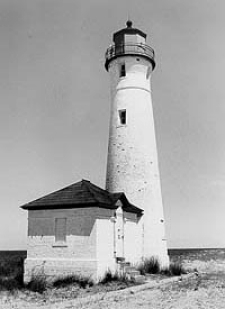 10 and find out how ships were warned away from the shore before a lighthouse was built there. Long before the loss of the Edmund Fitzgerald, the storms of November took their terrible toll on the ships and mariners of the Great Lakes. Explore the story of the wreck of the SS Carl D. Bradley during a November gale that cost the lives of 33 crew members. 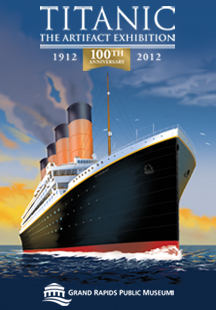 Make sure not to miss Titanic: The Artifact Exhibition at the Grand Rapids Public Museum. The exhibition runs through July 7th and showcases over 150 artifacts recovered from the bottom of the Atlantic. Full size reproductions of several rooms give a sense of life aboard the doomed ship. Actual dining room china, furniture and ship's fittings are on display along with some passenger's belongings that survived the harsh conditions at the bottom of the ocean. 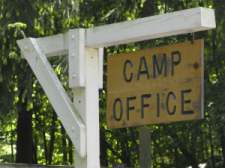 Warm summer days and nights make it an excellent time enjoy a camping trip at a site near the Lake Michigan shoreline. Check all the campsites out on our popular Lake Effect Guide Camping page. Summer is a great time to explore the rivers and lakes of west Michigan. Even if you don't own a boat, you can still get out on the water. 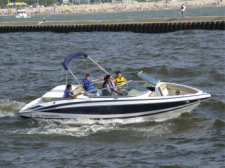 Check out Boat Rentals in the Lake Effect Guide to find where cruisers, sailboats, fishing and pontoon boats, personal watercraft, kayaks and paddleboards can be rented by the day or hour. If you don't feel like playing skipper, you can also find regularly scheduled cruises and crewed charters. Don't forget to check out the Calendar of Events for June and July. There's always something happening on the lakeshore.